Apple Watch stores photos from a single synced photo album on your iPhone. Choose the album to store on Apple Watch. Open the Apple Watch app on iPhone, tap My Watch, go to Photos > Synced Album, then choose the album. 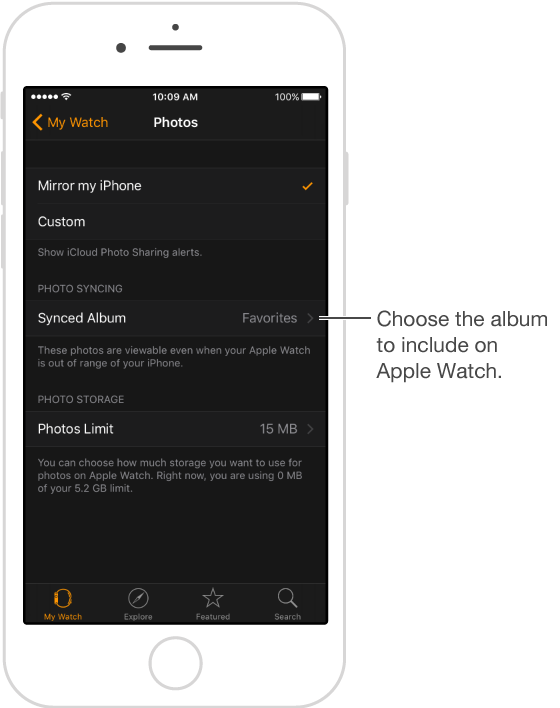 To create a new album for Apple Watch photos, use the Photos app on iPhone. The actual number of photos stored on Apple Watch depends on available storage.